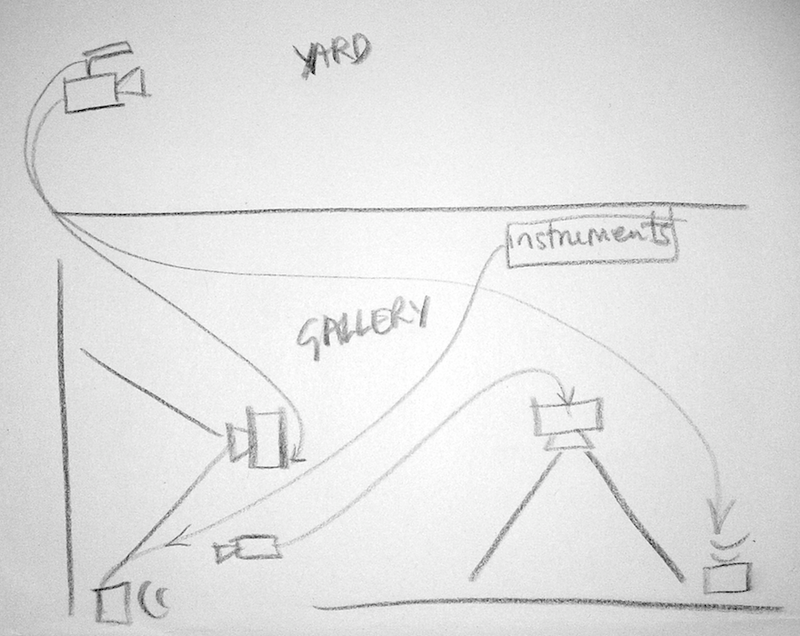 Rob Gawthrop’s contribution to Interplay at CMR is YARD NOISES IN, a live work where a video signal from outside the CMR building (buddleia, rubble, pigeons) is projected onto a wall inside with sounds from automated percussion and strings. This image is re-projected with the sound from outside (rustling, ringing, cooing) onto a different wall. The images and sounds are simultaneous but incidental and displaced.